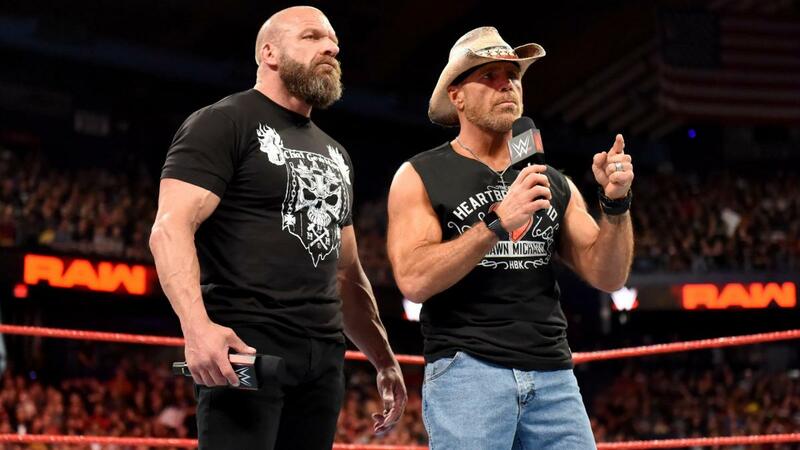 Monday night on RAW, it was officially announced that Shawn Michaels will wrestle for the first time since his retirement in 2010 at WWE Crown Jewel. The seeds for the return were planted at WWE Super Showdown when Triple H defeated The Undertaker which was followed by a beatdown of both H and Michaels by the Brothers of Destruction. Michaels and Triple H responded by announcing not only that they would take on The Undertaker and Kane at Crown Jewel, but that they were once again reforming Degeneration X. Unlike many stories in WWE these days, this one has actually been well executed and the details are being covered. Shawn Michaels has stayed retired out of respect to The Undertaker who defeated him at WrestleMania 26; what is the one thing that would bring him back? Being disrespected by The Undertaker. While WWE Super Showdown was hyped as the last match EVER between The Undertaker and Triple H, we’re guessing they meant singles matches. So why is this the one match that will bring HBK out of retirement? The likely answer is money. For years there have been rumors and ideas about a Shawn Michaels return dream match, but none have come to fruition. Crown Jewel is of course being held in Saudi Arabia and they events are said to be generating more money than even WrestleMania. If you noticed Monday, DX didn’t claim Michaels was coming back for just one match, so this should open the door for Michaels to step in the ring at special events like WrestleMania once again. Is it a good move? Of course. Shawn Michaels is regarded as one of the (if not THE) best in-ring performer of all time and we’re willing to bet that even in his 50s, he can still produce classic matches. With ratings hitting record lows for WWE, they need all the star power they can get and Shawn Michaels definitely brings it. Will the match featuring WWE legends at Crown Jewel open the gateway for the dream Shawn Michaels matches so many have wanted to see? Michaels vs. Daniel Bryan? Michaels vs. AJ Styles? We think so because HBK’s return to the ring is a major deal and with so many big events going on around the world and WWE needing to provide compelling matches that will continue to draw interest for them. Now with the storyline of the Undertaker retiring Shawn Michaels and the explanation given for his return, there are no other storyline barries that would keep HBK out of the ring.